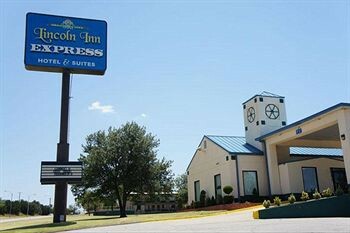 Property Location With a stay at Lincoln Inn Express Hotel and Suites in Oklahoma City (Nichols Hills), you&apos;ll be convenient to Black Liberated Arts Center and National Cowboy and Western Heritage Museum. This hotel is within close proximity of Mittie Cooper&apos;s White House Gallery and International Gymnastics Hall of Fame.Rooms Make yourself at home in one of the 90 guestrooms featuring refrigerators and microwaves. Rooms have private balconies or patios. Cable television is provided for your entertainment. Conveniences include coffee/tea makers and irons/ironing boards.Rec, Spa, Premium Amenities Take advantage of recreation opportunities including an outdoor pool and a fitness center. Additional features include tour/ticket assistance and a picnic area.Dining A complimentary breakfast is included.Business, Other Amenities The front desk is staffed during limited hours. Event facilities at this hotel consist of a conference center and a meeting room.